Hong Kong Singers brings us another hilariously fun show, and this time, they’re putting on a pageant show. 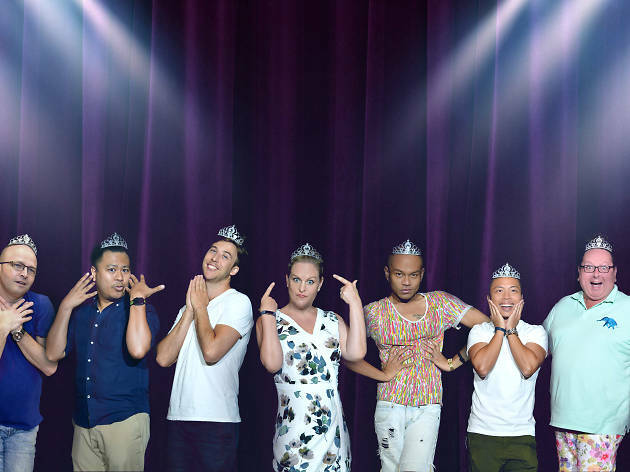 The performance follows six contestants — all played by men in drag — every night as they compete for the title of for the title of Miss Glamouresse: Miss Deep South, Miss West Coast, Miss Great Plains, Miss Bible Belt, Miss Industrial Northeast, and Miss Texas. Expect plenty of laughs as the performers strike their best poses in evening gowns and swimwear and show off their talents and spokesmodel skills. Judges are selected from the audience vote each night and get to choose the winner, so no performances are the same. Paegent the Musical is also ann official Pink Season 2017 Calendar Event. Tickets are $180 are October 10 and $250 for the rest of the run.